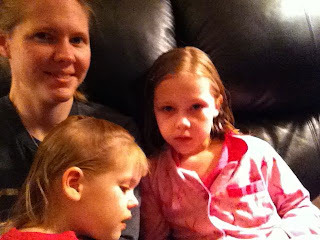 The Musings of a NICU Mommy: Bekah is Reading!!!! 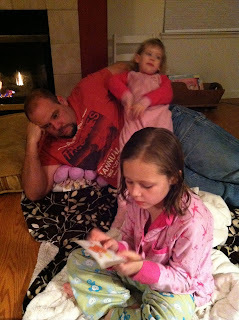 I have read to my girls since they were babies. I love reading and have wanted to give that love to my children. We often go to the library and get piles of books. We read together all the time. It has been exciting to see Bekah learning so much in her Kindergarten class. She has mastered all her letters and sounds. She is slowly learning to read. Years ago I bought a set of books for beginning readers in Kindergarten. It is identical to the books that I had read when I was in kindergarten. I still remember my parents showing me the books. I pulled the first one out and read it. It was awesome!! Then I read the second, the third and the fourth. That night was such a special night. Tonight was just as special. Bekah read her first book. I found the box of books tucked away for when Bekah was ready to start reading. I pulled them out and showed her the books. 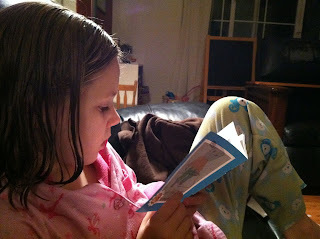 She took the first one, sat down and read it. Just like that. I had no idea that she was doing so well. Then she got the next one and read that too. 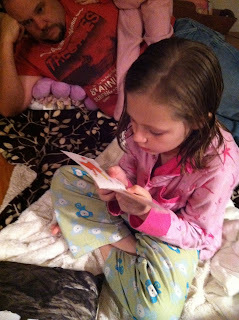 I was so excited to see her reading and loving it. What a wonderful night. Hannah wasn't as impressed as daddy and mommy. 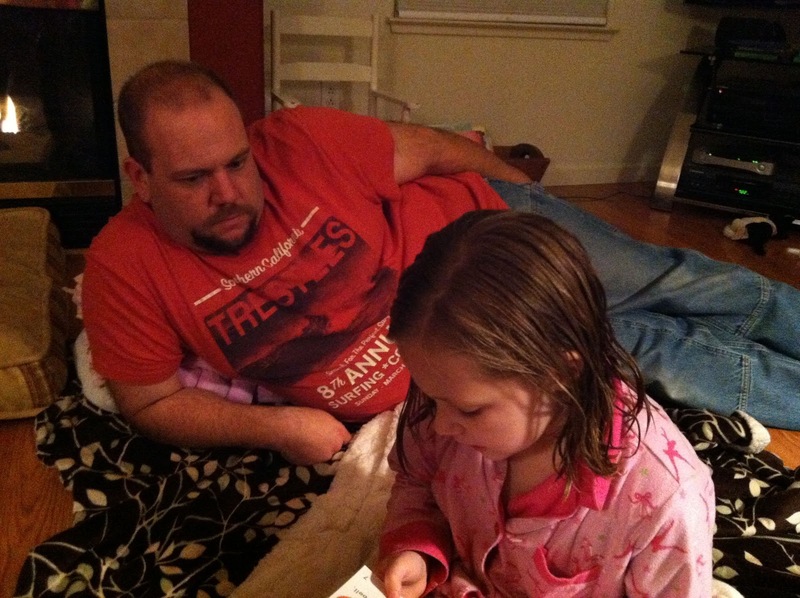 She kept whispering in daddy's ear and making him laugh. Then jumping on top of him. Bekah was a good sport (mostly) and finished the second book. She wanted to read more, but it was time for bed.